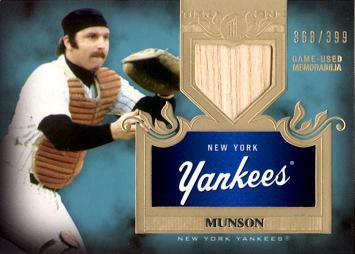 This is a genuine Thurman Munson rookie card, produced by the Topps company back in 1970. Card is in Excellent condition, meaning it has some minor corner and edge wear, may be a bit off-center, but has no creases or stains. 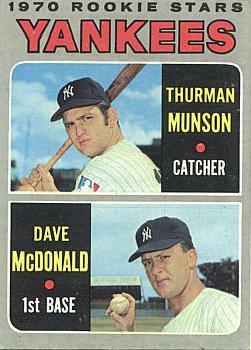 This card is in pretty good shape considering it is over 40 years old. Card will be packaged inside a protective case to ensure a safe delivery. 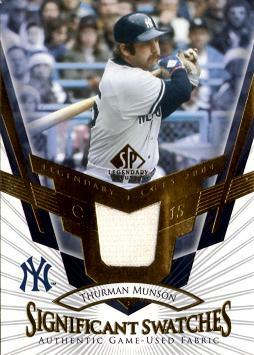 Rookie cards of this Yankees catcher are in high demand and are tough to find!